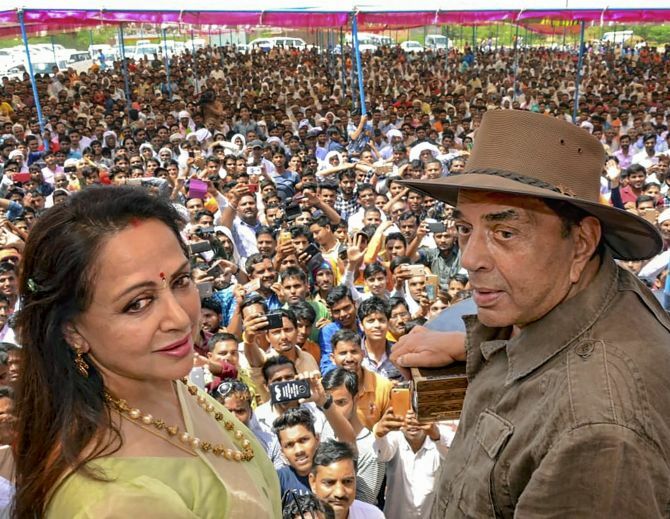 Sunday was a 'special day' for Bharatiya Janata Party MP Hema Malini as veteran actor and her husbnad Dharmendra campaigned for her in Mathura and appealed to the people to support her in the ongoing Lok Sabha elections. The popular Bollywood couple addressed a crowd for the Jat community where a massive crowd turned up. "Vote for Hema Malini. 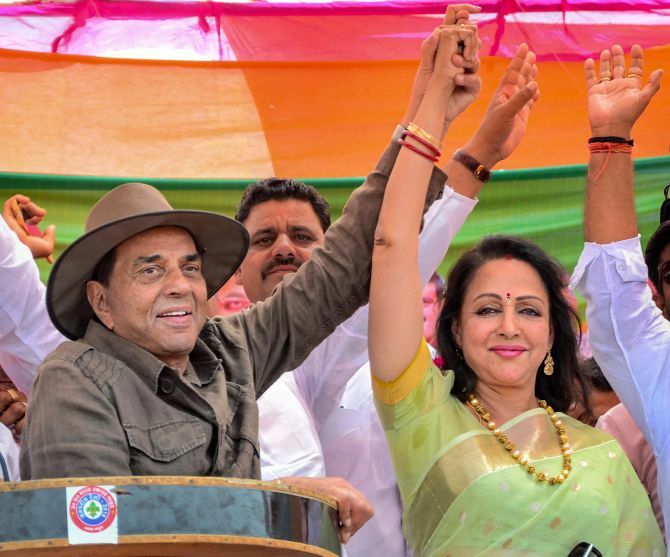 Without your support, we will not be able to take even a single step towards the development of the city," Dharmendra said while addressing a gathering in Mathura. 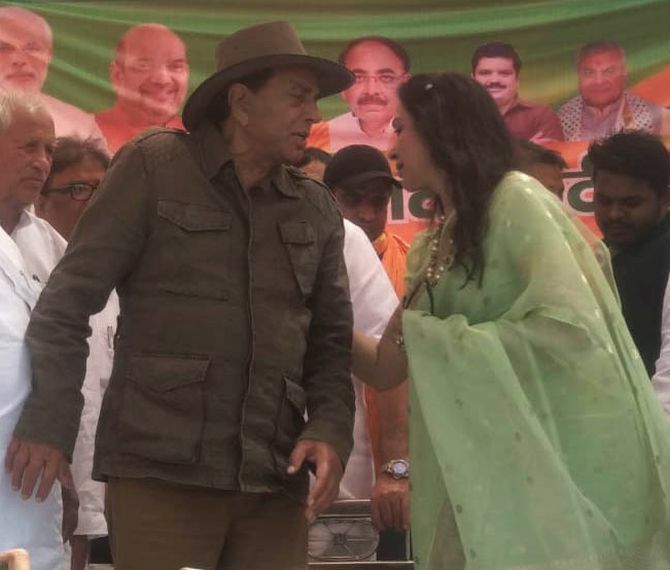 He reminded the crowd of the iconic scene from the movie, Sholay, where Hema Malini starred together with her husband and played the role of Basanti. 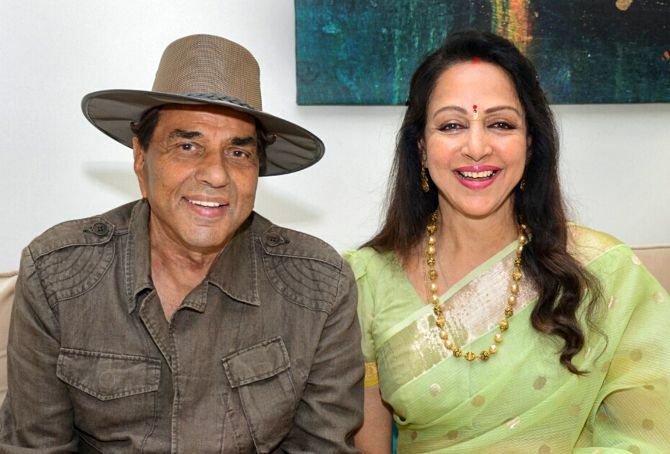 Raising the poll pitch in the constituency, Dharmendra told the crowd: "Gao walon, (Hema ji ke liye) vote karna. Nahi to kisi aas paas ki tanki pe chad jaunga aur wahan bahut mausi ko pukarunga. Bahut mausiyan aa jayengi. (Dear villagers, please vote for Hema Malini ji. Else, I will climb on one of the tanks and give a shout out to Mausi ji. I am sure a lot of them will come)." Addressing a public meeting in Sonkh town of Mathura district, Dharmendra also thanked the crowd for the "historical" victory of Malini in the 2014 Lok Sabha election. Malini, meanwhile, asked the people to vote her for a "better tomorrow" of Mathura and the country. 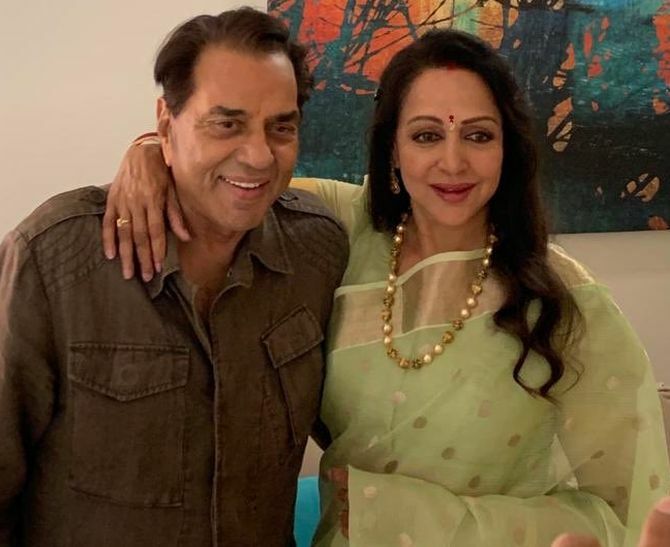 Earlier, Hema Malini took Twitter to announce that her husband would campaign for her in her constituency. "Today is a special day for me! Dharamji is here in Mathura to campaign for a whole day on my behalf. The public is waiting eagerly to get a glimpse of him and listen to what he has to say," she said in a tweet.